Happy Thanksgiving, Blue Ridge Nation! Our @cbdsuperfood team loves any excuse to focus on gratitude, so Thanksgiving is easily one of our favorite holidays. There is so much for us to appreciate, but today we are particularly grateful for the ability to fill our plates with nourishing food and enjoy this meal in the presence of people we love. Community is such a crucial part of what we do. Our products create an opportunity for us to connect with each of you and spread our @cbdsuperfood community far and wide. 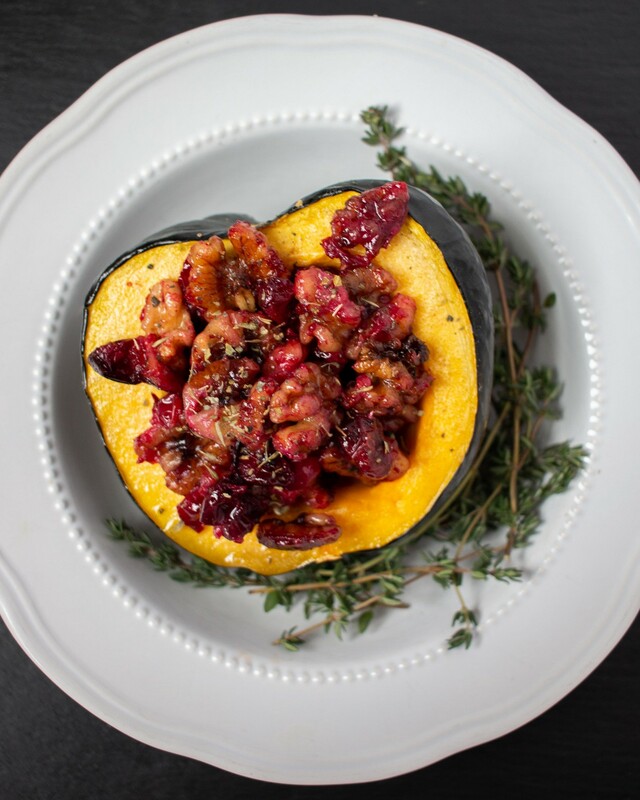 Enjoy a part of your personal community today by sitting around a table sharing conversation and feasting on delicious entrées like this cranberry & walnut stuffed squash! We hope you are equally stuffed to the brim — with food and love. Roast a sliced acorn squash in olive oil, salt and pepper at 350˚ for about 4 minutes. On the stove top cook down fresh cranberries and walnuts in 3 tbsp olive oil, and ¼ cup maple syrup. Cook on medium low heat until cranberries breakdown. When the acorn squash is done cooking, fill with your cranberry walnut mixture and top with CBD Coconut Oil.